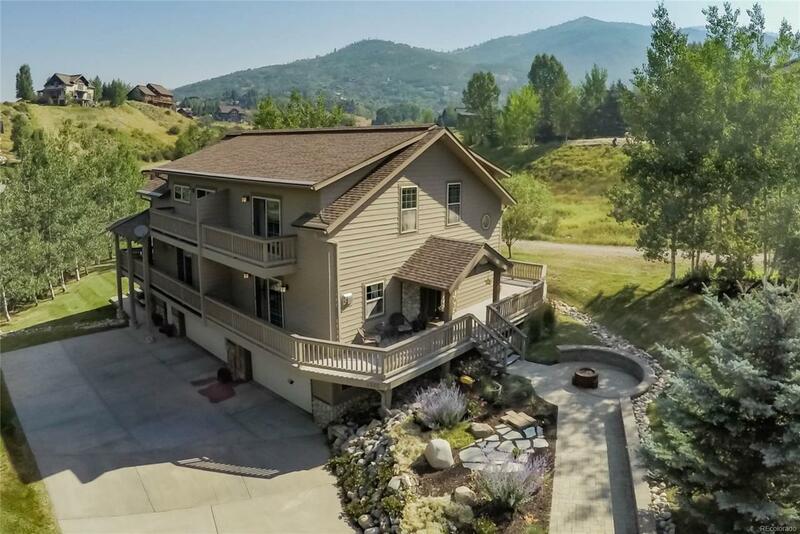 This mountain duplex located in the highly desirable Bear Creek neighborhood sits near the end of a private drive and conveniently adjoins a walking path. Whether you like to entertain or simply enjoy nature there are plenty of outdoor living areas including a deck off each of the ensuite bedrooms. Open kitchen design with quartz countertops and breakfast bar. Built-in wine cooler and oversized refrigerator make entertaining easy. Master bedroom includes a pass-thru custom closet and steam shower. Built-in murphy bed in the second bedroom with views of the Steamboat ski area. Lower level has a custom laundry center and mud room leading into the heated 2-car garage. Irrigated yard with perennial misters/drip system in place along the garden/stonework. Short walk or bike to the ski area base and the free city bus is just a couple blocks away. Ideal location for full or part time residents.